Brain Awareness Week (March 11 – 17) is the global campaign to increase public awareness of the progress and benefits of brain research. To mark the occasion, EFNA promoted the new #BrainLifeGoals campaign, and encouraged patient advocates to share their goals alongside the hashtag. The campaign will improve public understanding of neurological conditions and reduce associated prejudice/stigma. Brain Awareness Week is an ideal time to turn up the volume on the patient voice and ensure that decision-makers hear about the issues of most importance to us. EFNA also shared a number of blog posts created by attendees of November’s Young Advocates’ Workshop. Click here to read their stories. 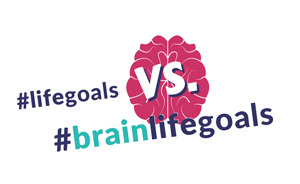 You can also keep up to date with the latest activities by following the #BrainLifeGoals hashtag on social media.